Hate gridlock? Can’t find parking? Want cleaner alternatives? Mobility-as-a-service programs—with pilots in select locations already—may be coming soon to a city near you. Their potential? To solve urban density problems and make getting around easier and more efficient. If Netflix’s business model were applied to urban transportation, how might that change the way city dwellers get around? That’s the question at the heart of an ambitious initiative taking shape in Finland’s capital, which aims to make it unnecessary for any city resident to own a private car by 2025. Streaming services like Netflix have fundamentally changed the way people search for, consume, and pay for media. Transportation now stands on a similar frontier. Helsinki’s vision represents the next revolution in mobility: mobility as a service (MaaS). At its core, MaaS relies on a digital platform that integrates end-to-end trip planning, booking, electronic ticketing, and payment services across all modes of transportation, public or private. 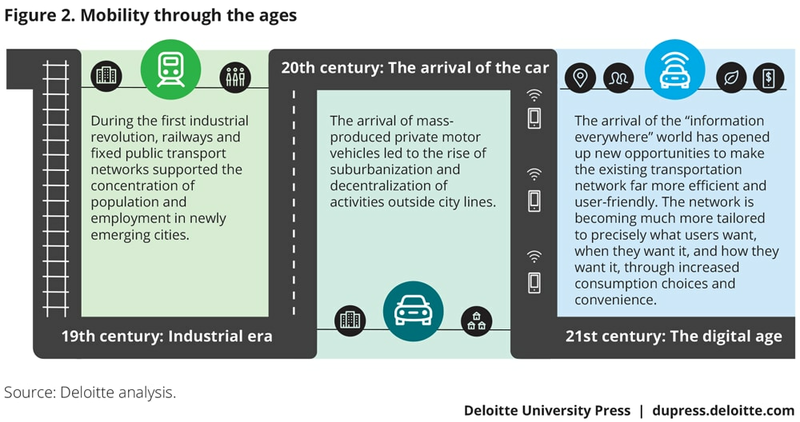 It’s a marked departure from where most cities are today, and from how mobility has been delivered until now (figure 2). This article examines what’s driving interest and experimentation in MaaS in cities around the world, outlines the core elements of MaaS and how this concept could evolve, and describes the role of government and the private sector in realizing the benefits MaaS brings. While Helsinki may be the poster child of the emergent MaaS movement, it is hardly alone. 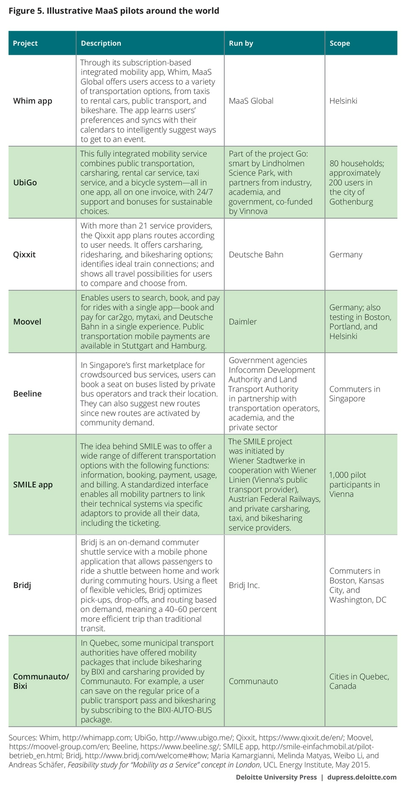 Paris, Eindhoven, Gothenburg, Montpellier, Vienna, Hanover, Las Vegas, Los Angeles, Denver, Singapore, and Barcelona have all piloted local versions that span the spectrum from modest peer-to-peer (P2P) offerings to integrated public transportation to combined mobility services that include private-sector players. he conceptual embrace of MaaS by transportation planners and operators is, in many ways, a natural evolution of two key trends. First, increasingly, people no longer view transportation through the prism of “either/or”: Either you fall into the “more roads” camp or you favor “more transit.” The problem that confronts transportation planners everywhere is that adding new infrastructure capacity to relieve congestion—be it roads or transit—is notoriously slow and costly. It’s what legendary road builder Robert Moses learned in New York City in the 1930s; every time the city opened a new parkway, it was overrun with traffic jams. Even if timelines could be collapsed and resources were plentiful, there’s little appetite for turning cities into even larger parking lots than they are today. The push is firmly in the opposite direction. People want to make cities more livable, and many believe that means making them less vehicle-centric. As urban density continues to grow, MaaS provides an alternative way to move more people and goods in a way that is faster, cleaner, and less expensive than current options. By adding more variability into the supply side of transportation, MaaS could transform a relatively inflexible transportation system into one that is significantly more pliable. ourney planning apps, which help users identify and compare different modal options for getting to their destinations, have become commonplace, with local and global offerings available in every city. The natural next step would be to bring all of these options together on a common platform. 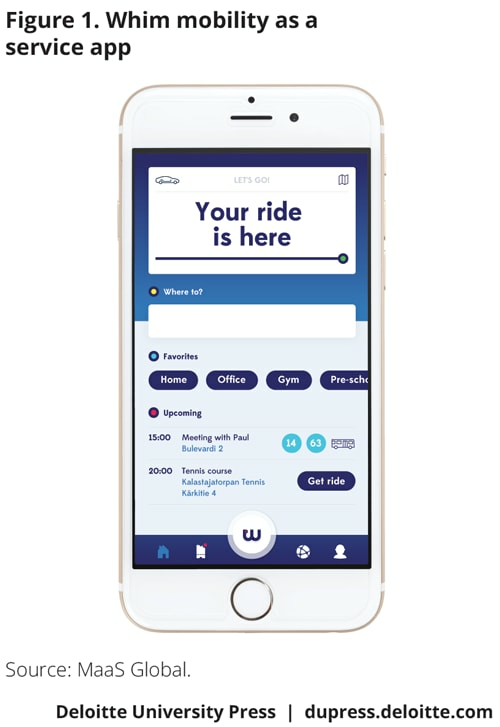 This would enable journey planning across a range of transportation modes, offering flexible payments and personalization based on user preferences regarding time, comfort, cost, and/or convenience. With so many more choices available, customers should have the ability to seamlessly plan and pay for multiple services as they travel. Cities and municipalities can create a localized MaaS solution that works with the transportation assets and private-sector partners available. From one location to another, there will undoubtedly be variation across offerings. Yet some critical components are common to most MaaS efforts. MaaS is a data-driven, user-centered paradigm, powered by the growth of smartphones. To work effectively, MaaS would require the following conditions: widespread penetration of smartphones on 3G/4G/5G networks; high levels of connectivity; secure, dynamic, up-to-date information on travel options, schedules, and updates; and cashless payment systems.6 To enable these conditions, a diverse range of actors would need to cooperate: mobility management players, telcos, payment processors, public and private transportation providers, and local authorities with responsibility for transportation and city planning. There should also be a thoughtful integration of physical infrastructure that enables transfer between transportation services, such as bus and subway interchanges, or bike and carsharing spaces at stations. Transportation planners should think through how the various modes link up. Users access MaaS through a platform—either a multimodal trip-planning app or a webpage. Competition among these platforms is fierce. A good one identifies a range of transportation options and offers real-time traffic updates, often crowdsourced. Consumer adoption depends on having good coverage, which can vary greatly. CityMapper, Moovit, and Ally are a few of the platforms used around the world. Essential to any MaaS offering, of course, are its largest players, the public transportation operators. Demands to expand service delivery have driven many transportation agencies to introduce new modes of travel, such as bikesharing, or to join up with complementary modes, such as carsharing. For example, in Quebec, some municipal transportation authorities have offered mobility packages that include bikesharing and carsharing provided by Communauto, a private-sector concern. Gaps in public transportation services have fueled a growing army of small-scale private providers, each offering a specific service: parking, carpooling, peer-to-peer car clubs, ride-hailing, or on-demand bus rides. Typically, each operator requires its own app, with a separate interface and payment mechanism, and each service maintains its own customer relationships. The newest and most integral component of MaaS consists of third-party aggregators. Using an asset-light model similar to Alibaba, AirBnB, or Uber, the trusted mobility advisors link the services of the various private and public operators, arranging bookings and facilitating payments through a single gateway. Accomplishing that kind of integration has proven to be such a hurdle that only a few services have emerged in this category. UbiGo had a small pilot run in Gothenburg, Sweden, that was expanded in late 2016. Helsinki’s MaaS.fi pilot, which ran at the start of 2015, has relaunched as a private-sector start-up, MaaS Global. In Germany, Deutsche Bahn’s Qixxit is a nationwide scheme that provides public and private journey planning and allows for one-stop payments within its app. MaaS is at a very early stage in its development, with much innovation and experimentation underway. Over the next few years, as cities aim to do more with less—offering a larger array of services using the same or reduced levels of funding—the number of pilot programs is expected to rise. Meanwhile, incumbent transport operators are beginning to understand that their business models will likely need to change, and along with that their role in the emergent ecosystem as they seek to harness technological advances that enable a wider range of choices, different uses of data, and a higher level of responsiveness. The number of private-sector providers may very well also increase, seeking to fill the gaps in local transportation services. An important factor in making MaaS a success will be getting all of the players to work together. Private sector participants might join the movement in search of profits, while government agencies could seek the public policy benefits that stem from reduced congestion: higher productivity, better air quality, fewer traffic accidents, and a smaller urban footprint for parking. Participants will gain these benefits only if they collaborate. Few current platforms, however, include both private and public options and link everything together in a single solution. Even fewer take payments or allow journeys across multiple transportation operators to be paid for in a single transaction. Future iterations of MaaS should create an integrated system of mobility that is more pliable than the existing transportation network, where supply is aligned with actual demand and where more choices are provided to enable travelers to get from point A to point B in ways that are easier, faster, cheaper, cleaner, and safer than those currently available. A key component of any MaaS model is ticketless travel. Using a smart card or smartphone, a user is able to enter and exit all transportation modes required for any given journey. The complexity involved in delivering a service that spans multiple modes of transportation, with multiple providers, for a single, discounted fare has stymied many an offering. Thus far, the stumbling block has been ensuring that each mode is being appropriately compensated for its portion. Future MaaS offerings will likely need an integrated end-to-end version of pay-as-you-go, where users pay for the entire trip from point A to point B and there is pricing integration across modes. A system may also need to be put in place to manage physical gates, with personnel checking identification and managing fraud. The most sophisticated service providers use the data they collect on consumer movement across the transportation network to understand travel patterns, optimize the network, and calibrate demand and supply. Inherently, making MaaS a reality requires building a multi-stakeholder consortium of players. This is not just government’s responsibility—the private sector also has an important role to play. But for private players to be an equal partner in shaping this future, the promise of market value must exist. One of the important roles for government in MaaS development is to bring everyone to the table. 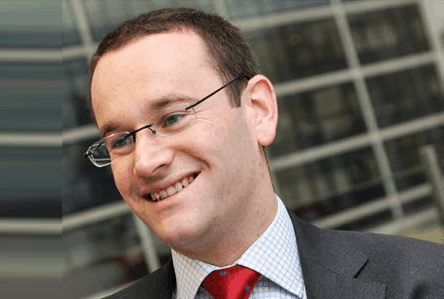 The European Union, for example, has created the MaaS Alliance, a public-private partnership that facilitates information-sharing among players. MaaS Alliance’s four working groups deal with legal issues, technical issues, the user experience and social impact, and market development.21 Forums like this are often necessary to enable all players across the ecosystem to collaborate in ways that spur further development of the MaaS market. Government should define the vision and set the metrics by which success is measured. Moreover, the public sector can encourage behavior that aligns to broader public policy goals, such as reducing congestion or traffic accidents. Governments should play an important role in ensuring that the new transportation environment doesn’t compromise safety or security. Safety guidelines should address the new technologies, while anticipating future developments. Autonomous vehicles may be a hot topic, but in the creation of MaaS systems, governments should also address more prosaic issues around vehicle driving, service provision, consumer protection, data protection, liability, and equal access. Finding the regulatory sweet spot is key. Too much regulation and the private sector may find it difficult to innovate or participate; too little regulation and the public interest is not served. Any multimodal MaaS solution would require access to the public transit system’s route and real-time location data to be successful. As a start, public transportation operators should open their API feeds to developers and the data providers mentioned above. According to City-Go-Round, only 292 transit agencies of the more than 1,000 that exist globally have open data, though more are being added regularly.26 Transport for London, the city’s transportation operator, does not have its own app; instead, it provides its API to more than 8,000 developers. Its data is currently used in more than 500 apps. The private sector can take ownership of specific programs run on behalf of cities. This serves larger governmental aims while offering companies some branding opportunities and increased visibility, and a chance to get some business out of the association. In the City of London, the bike rental scheme has been sponsored by large banks, which contribute around 10 percent of the operating costs plus an additional amount toward expanding the coverage. The result is a win-win for both parties: the city is able to offer a wider array of mobility options and the cost is partly borne by a private company. The bank, in return, benefits from the advertising and gets access to the data of everyone signing up for the service. More than 300 businesses have joined up with Montreal’s public transportation authority to offer riders discounts and other rewards. The STM Merci app collects data on riders’ locations and preferences and how often they use public transportation, and sends them offers from relevant retailers.27 It promotes the city’s goals of encouraging users to rely more on public transportation and directs would-be customers to businesses they might not have known about. Ultimately, it most probably behooves public and private parties to play ball. A well-functioning MaaS ecosystem can boost the economic competitiveness of a city, to everyone’s benefit. MaaS might be at a very nascent stage, but it’s a model that most people already have experience with. Take a web-based travel aggregator, for example. It offers a range of flight options based on a user’s preferences: Travel directly? Cheaply? Users can then add on a range of other services: hotels, car rental, and so on. There are even special deals offered by participating businesses that have a relationship with the site. Instead of utilizing this model twice a year for a big trip, imagine doing it multiple times a day for single journeys. But instead of paying à la carte for each add-on, all services are bundled into a single price and paid for in one click. We are not quite there yet, but there are three reasons to believe that MaaS could quickly evolve beyond the pilot stage. First, the benefits for cities are compelling. Simply adding more roads, more trains, and more parking garages is unlikely to solve the problems of our congested urban areas. Nor are major capital investments feasible for cities confronted with difficult fiscal situations. 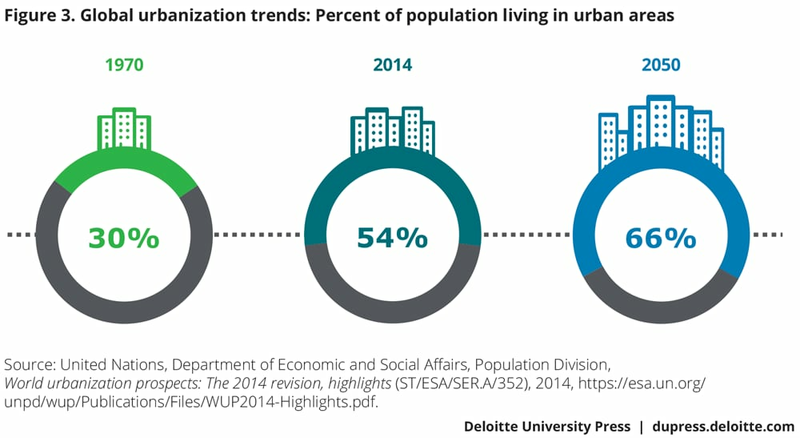 With more people moving into cities all the time, those problems will almost certainly only worsen without a unified transportation solution. Second, the benefits for individuals are compelling as well. Non-networked forms of transportation don’t meet the needs of the modern urbanite. In many cities, getting from point A to point B is difficult at nearly any time of day, and sometimes downright miserable. City dwellers have shown a propensity to try new travel options that make traversing the urban environment more bearable. As sustainable models for MaaS emerge, the public is bound to embrace the best of those services, too. Third, the technology that makes MaaS work is already here. With smartphones and 4G/5G networks, deep learning and artificial intelligence, autonomous drive and dynamic routing, the world is ready to build and run the new services most in demand. City governments should buy in. Government leaders need to see the benefits and support MaaS in their cities. For their part, private partners play an important role in pledging their support. Public-private partnerships should be established and they must be open. Many cities might reject one or a limited number of large private players coming in to provide a unified solution, but the capital and innovation capabilities of the private sector are essential. Technology architecture should be agreed upon. Municipalities should create an open architecture that private partners can integrate to, but that still meets the needs of their citizens. Again, private-sector partners can support cities in this effort. Municipal transportation should be included. Buses and trains that serve citizens today can’t be excluded from the MaaS ecosystem. It’s often logical to leverage the payment systems for buses and trains that already exist and operate on the back end. MaaS represents the next evolution in mobility. If it’s not there already, it’s coming to a city near you. Warwick is a leading influencer on mobility-as-a-service and how this may be implemented across the transport network. Backed with experience delivering IT transformation strategies and project management of multi-million pound government and private sector projects, Warwick is no stranger to the issues that mobility-as-a-service aims to tackle.